SOURCE: It is interesting to note that the Churches of Christ often “write-off” the doctrine of justification by faith alone simply because they are convinced it is a “Calvinist” doctrine. This is amazing because when one compares these points with the actual teachings of Calvinism and the “free-will” (i.e. Arminianism) view, one would think the only difference between the two from what Mr. Taylor writes is the “P” of TULIP and the perseverance of the saints. In other words, the Churches of Christ may be surprised to learn that BOTH Calvinists and “free-will” types believe in the doctrine of the fall AND the doctrine of justification by faith alone. However, what is actually debated between Calvinists and “free-will” types is not the dynamics of the fall nor the doctrine of salvation by faith alone, but rather how resistible God’s grace is to man- i.e. the doctrine of election. Here, the point of contention is that if God calls you- must you respond positively to His gospel, or in the finial analysis does man reserve the ability within himself to reject the God and salvation through faith in Jesus Christ and thus be lost and eternally condemned? At this point the Arminian will say yes to “free-will” while the Calvinist answers no. However, it is the “Pelagian” or Church of Christ view that is being argued against here. Pelagianism rejects the doctrine of the fall and rejects the teaching that man has a “sin nature” or predisposition to sin and to do evil. In contrast it believes that man has the ability within himself to respond positively to all the necessary moral and religious commands and laws of God in order to be saved. Thus, making the same assumption about human ability, the Church of Christ therefore rejects the doctrine of salvation by faith alone in Jesus Christ, believing anyone can be saved through “Patternism” or in other words, their own New Testament law-keeping. Again, both Calvinists and Arminians or “free-will” types reject this view. Both believe that because man is fallen, has a sinful nature, and therefore lacks the moral and religious ability to save himself “by New Testament Law-Keeping”, the only hope for sinful man is to place faith in Jesus Christ, trusting in Him alone to do what we could not possibly do in our own sinful selves. 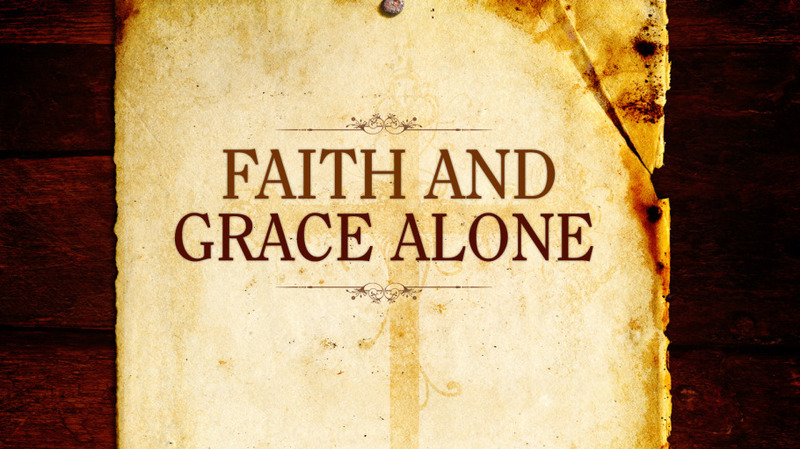 Posted on September 22, 2015, in Church of Christ Myths and tagged church of christ, church of christ and calvinism, church of christ and faith alone, church of christ myths, is faith alone calvinism, saved by faith alone, saved through faith alone. Bookmark the permalink. Leave a comment.